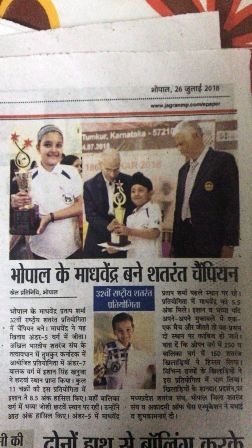 Ishaan Khanuja - A Chess Sensation in Making! 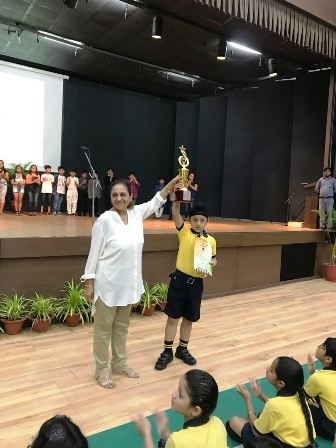 Ishaan Khanuja of class II-D has many laurels to share at such a tender age of 7 years. 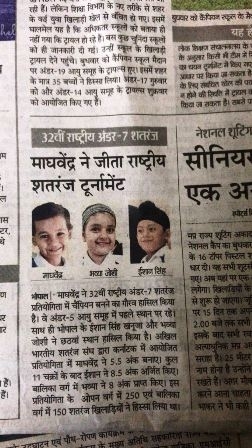 He has already won many competitions both national and international championship. 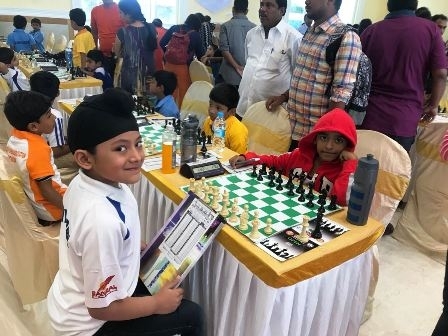 He recently participated in the 32nd National Under-7 Open Chess Championship 2018 held under the aegis of All India Chess Association, Tumkur, Karnataka and finished 6th. 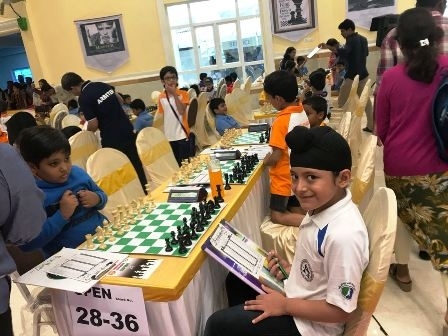 A confident young boy Ishaan plays his moves with speed and calm mind and is not perturbed by the outcome.